The era of prohibition ended in the United States in 1933. Now, eighty-five years later a new style of ‘dry crusaders’ are making the drinks industry sit up and take note of the demand for a more premium alternative for non-drinkers. Companies such as Seedlip (creators of the world’s first distilled non-alcoholic spirits) are responding to this demand and answering the dilemma – what to drink when you’re not drinking? As one of the UK's leading mobile bar companies, we have been inundated so far this year with events for new non-alcoholic drinks brands. As well as this there is a definite appetite for non alcoholic options at events....perhaps the tide is turning? There are many reasons that’s people choose not to drink – for health benefits, religious beliefs, pregnancy, being the designated driver, or simply because they do not want to. Whatever the reason, it is becoming more and more vital to offer a higher quality non-alcoholic drinking experience that matches up to its alcoholic counterpart, instead of just defaulting to traditional sugary softs. The guys at Botanic Lab are doing some amazing work in the world of health focused soft drinks. They started life as a fresh juice company that delivers juice programmes to its clients but now has its products stocked across the UK in places such as Wholefoods, Planet Organic and Gails. They are shortly to launch their Botanic Tea Drink range which comes in flavours such as Jalapeno/Lemongrass/Ginger. Watch this space, these guys are going to be a leader in this market. The worlds first no-alcoholic, distilled spirit is has taken the UK by storm since it was launch last year. The guys at Seedlip have developed something very special here, creating a product that really fills that adult non-alcoholic drink niche. Seedlip Spice 94 is our favourite and works well with tonic and a grapefruit twist. Akin to a G&T its a no-brainer for those who want a refined, nighttime drinking experience sans the alcohol. So its here, a palatable range of non-alcoholic wines from Eisberg...and our favourite is their sparkling blanc. Although, as with many non-alcoholic wines it lacks the complexity of its alcohol laden cousins, it does have a great flavour and makes a much needed change from the glass of orange juice at the Champagne reception. Wowza...a non-alcoholic beer that actually tastes of something other than beer flavoured soda. It would have to be Brewdog. Nanny State really is a great alcohol free beer (there are some awful ones on the market currently) its hoppy, flavoursome and has a depth to it that is usually lacking when our friend alcohol is taken out of the equation. The is a lightly sparkling drink that is inspired by Italian aperitivos...and its delightful. 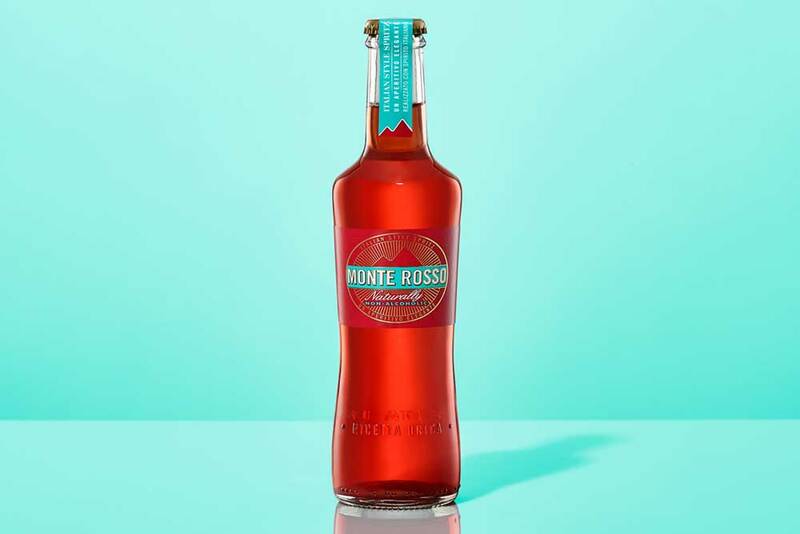 The team at Monte Rosso have created a great alternative to Aperol Spritz here. Blended with 'rowanberries and mountain cranberries' and importantly added Venetian Bitters it has a great palate and is lifted well beyond your average soft drink. A great beverage to while away a summers eve while your friends get lightly sozzled on the Aperol. So there we have it, a few alcohol free options to ensure life is that taken to the next level when you are off the sauce. We will have another blog post coming soon that shares the delights of non-alcoholic cocktails with the masses. Remember, if you have an event, brand launch or corporate event that requires expert bar services then please get in touch with our team.